The story contained in Life’s Lottery is different every time you read it. And I don’t mean that in the sense that you’ve grown as a person between readings, or you notice new details every time, or you relate and/or sympathize with a different character each time. I mean that the story is completely different every time you read it, because this is a grown-up choose your own adventure book. You remember the old Choose Your Own Adventure books from when you were a kid, right? Most of ones I read that that D&D Quest feel to them, with magic swords and caves to explore and dragons. I usually got eaten by the dragon. hmmm… maybe that’s why I never wanted to play D&D when my friends offered? I was still having nightmares of losing the magic sword, falling from the cliff, and getting eaten by dragons. There are no tunnels or caves or dragons in Kim Newmans newest novel. This is a very different kind of choose your own adventure story. Written in 2nd person, Life Lottery’s pushes the reader into the mindset of the main protagonist, Keith Marion. We meet Keith before he’s born, so it’s easy for the reader to insert themselves into Keith’s persona. Don’t tell infant Keith, but we all know life isn’t all fun and games, and Newman starts the narrative out rather darkly, giving the reader almost too many opportunities to “go to 0”: to die (and start over, making better decisions next time). But what if that wasn’t how the story ended? What if Dracula won? What he traveled to England to be “among the teeming masses”, married Queen Victoria, and set London up as a safe haven for vampires? What if being reborn as the undead became acceptable, even fashionable? 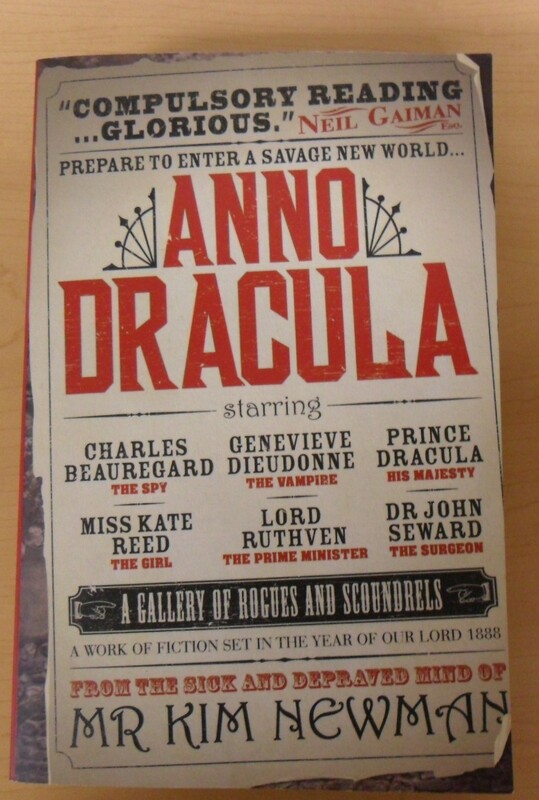 This is the premise of Kim Newman’s Anno Dracula, and a brilliant premise it is. The story has many of the trappings of Victorian literature, but with a number of deliciously dark twists. 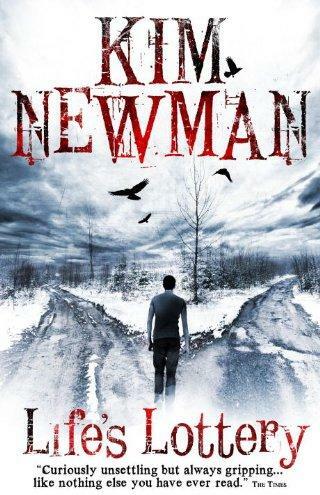 This was a book I absolutely couldn’t put down, Newman had me on page two. The premise was fascinating, the plot was engaging, and I adored the characters. Under Dracula, who now styles himself the Prince Consort and Lord Protector, more and more businesses and society in London run from dusk to dawn, with socialites hosting “after-darks”, banks and merchants only being open at night, and a massive upswing in the sales of luxury coffins. For many, receiving the dark kiss allowed them to rise even higher in society, but for others, the opposite has been true. Those of the lower classes still starve and prostitute themselves, drunks still beg for money (but to buy pig blood, not booze).